Tucson Daily Photo ~: Oh boy ~ twins! 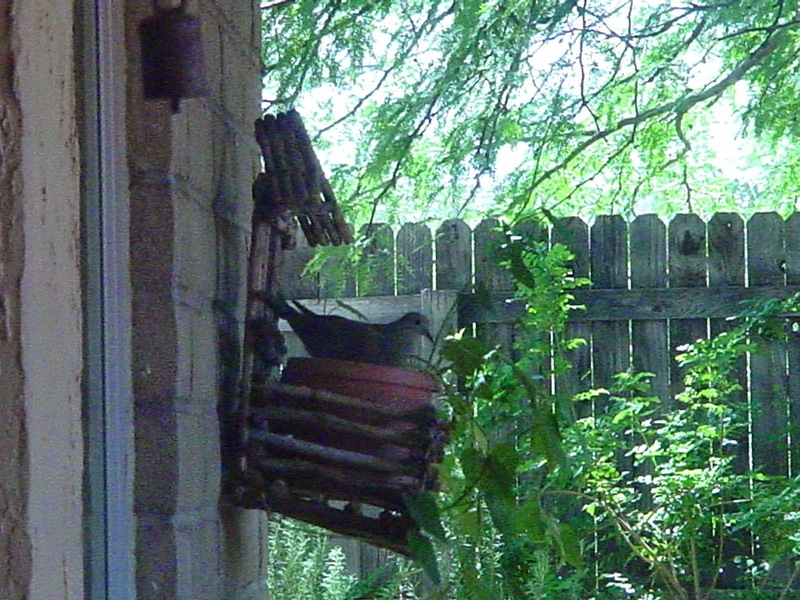 A few weeks ago I noticed that a dove had taken up residence in one of my hanging flower pots. What was weird about this was that there is a nice nest right above this flower pot where the patio roof meets the house wall. Nope, she wanted the flower pot. And so she sat, and sat, and sat. I researched dove nesting habits and learned that although it looks like the bird never leaves the nest, actually it does leave and its mate takes turns and sits too. Once when no one was sitting I took a peek and saw an egg. Now I was getting really interested! This morning I was actually thinking that it has probably been too long and that the egg wasn't going to hatch at all. When no one was guarding the nest I went over and peeked in. I expected to find a dried out egg (or even a tiny carcass). Oh boy - I saw tiny twin doves! They are about 2 inches so they were likely born several days ago and just have not been peeping enough for me to notice. I have to be super quick now to grab the camera because the parents are never gone very long and I don't want to disturb this growing family!